As part of my ongoing scientific research into heavy metals, elemental retention and metals capturing (see explanatory videos here), I have identified and documented anti-heavy-metals substances which have a remarkable natural affinity for binding with and "capturing" heavy metals. Why is this important? Because much of the "scientific" community today is actually corporate-driven junk science that's trying to poison you with mercury in vaccines, mercury in dental fillings, heavy metals in fluoride, GMOs, pesticides and more. It is extremely rare for anyone to actually spend time, money and effort to research how to REMOVE mercury from your body... and then publicly share that information in the interests of public health. That's why I humbly ask that you share this article with as many people as possible, and especially share the chart below which describes the most effective natural foods and dietary substances for binding with mercury. What I'm about to share with you here are lifesaving secrets which can help protect you and your children from toxic dietary substances. Why does this matter? Because we are finding and documenting heavy metals in all sorts of dietary products, including organic foods, protein supplements, herbal supplements, beverages, vitamin pills and more. Much of what health-conscious people are eating today is contaminated with mercury, lead, cadmium and even tungsten as we have shown in related research. Fortunately, there are ways to protect yourself from these toxic heavy metals during digestion. The secret to all this is found in certain natural substances which bind with, capture and help eliminate heavy metals from your digestive tract, preventing you from reabsorbing them. Here at the Natural News Forensic Food Lab, I have spearheaded the pioneering research that searches for and documents these substances. So far, I've tested over 1,000 candidate substances for these metals capturing properties, and I've been able to identify many winners which are remarkably effective. One of my many goals with this research is to share these discoveries with the world so that lives can be protected and even saved. The "scientific" community is many years behind the curve on this research area because the entire institution of corporate-driven science has zero interest in preventing disease when there's so much money to be made in treating it. Because of this, my own discoveries most likely will not be embraced by the greater scientific community for quite some time, but this is why I'm bringing this information directly to you right now -- so that you can apply this knowledge immediately, in your own life, long before conventional scientists finally admit that avoidance of toxins is crucial to supporting human health. Mercury is the most easily-captured heavy metal of all. In any laboratory environment, mercury is well known to be a "sticky" element because it sticks to instrument tubing and vials. If I place a known quantity of mercury in a vial of nitric acid and water, for example, a measurement of the vial shows less mercury than should be present because some of that mercury sticks to the walls of the very instrument used to carry out the testing. Interestingly, it turns out that mercury is also "sticks" to certain dietary fibers. In particular, my research has found that insoluble fruit fibers are extremely effective at capturing mercury during digestion. Mercury is unique in this way, as such fibers are very poor at binding with lead, cadmium, arsenic and other metals. But they stick to mercury like glue. Until today, nobody has known this seemingly simple fact, and even I didn't know it until I conducted this research. Now, I'm freely passing on the knowledge to you in the hopes that you will share it with others: Eat strawberries to block dietary mercury! In my tests, strawberries were able to capture over 95% of all the mercury added to the gastric acid solution in a human digestion simulator. This effect was also confirmed for freeze-dried strawberries but not strawberry juice because pure juice lacks fibers (pulp). Why strawberries? Because strawberries are the only common fruit with seeds on the outside. Under a microscope, you can see that each tiny strawberry seed is connected to the center of the strawberry via a bundle of plant fibers. These fibers, it turns out, are incredibly strong and are not easily digested in human digestion. They pass through you largely intact, much like psyllium husk fibers or insoluble vegetable fibers. Isolated under a microscope, these strawberry fibers are also translucent, by the way. And what's really amazing is that they even resist digestion with nitric acid. Somehow, these fibers are amazingly strong and resilient, yet nearly invisible to the naked eye. In the gastrointestinal tract, they function as "mercury sponges" that mop up mercury with amazing efficiency. In my laboratory testing, strawberries worked even better at binding to mercury than green grasses such as barley grass or wheat grass (see the full chart below). This is great news for those who want healthy eating options which are also great-tasting. Simply eat some strawberries with your meal to mop up most of the mercury found in whatever else you ate (such as sushi, tuna, ocean fish, etc.). If you don't like strawberries, you can use other fruits such as citrus fruits (eaten raw and whole, of course, with all the fibers intact). The next best fruits after strawberries are citrus fruits, followed by apples and pears. Peanut butter even better than strawberries! You'll probably find this fascinating, but peanut butter was even better than strawberries at binding with mercury, turning in an amazing 96% efficiency score at capturing dietary mercury. Apparently, the "stickiness" of peanut butter really gels with the stickiness of mercury. How about a tuna fish peanut butter and jelly sandwich? Care to guess what was even better than peanut butter? Hemp protein. I know, it seems counterintuitive. But I confirmed the results with several different hemp protein brands. All hemp proteins have a powerful "anti mercury effect." They capture around 98% of dietary mercury. There was only one substance, however, that was even more powerful than strawberries, peanut butter and hemp protein. That substance is Clean Chlorella, our in-house chlorella brand which is so free of heavy metals that it seems to attract them like crazy. And just so you don't think I'm merely plugging our own product, it turns out that all chlorella products we tested were very good at capturing mercury, with effectiveness ranging from 93% to 99%. Here's the practical upshot of all this: When you're eating ocean fish, tuna fish, seafood or sushi, you're probably eating mercury. We even found mercury in seafood snacks and pet treats. How do you protect yourself from that mercury? Eat some fresh, whole strawberries with your meal. Or if you don't like strawberries, eat some peanut butter, hemp protein or take some chlorella. If you can't get any of those, eat a salad and chew it really well to loosen up the fibers and thereby increase their "stickiness" to mercury. My research has revealed that eating ocean fish or seafood without something to mop up the mercury can be very toxic and dangerous to your health because you absorb the mercury through your intestinal walls. But eating ocean fish or seafood together with strawberries is extremely safe because virtually none of the mercury gets absorbed during digestion. The strawberries make your entire meal safer to consume! And isn't that what we've already known about meals, anyway? Eat whole, fresh fruit or greens with every meal and you'll be a whole lot healthier. To do this in an easy-to-carry portable format, get some freeze-dried whole strawberries and take those with you to lunch (or on the airplane). All this explains why I now carry freeze-dried strawberries and chlorella with me when I travel. Even if I'm forced to eat a less-than-healthy meal at a restaurant, I can eat some strawberries or chlorella with the meal and know I'm eliminating mercury instead of absorbing it. At many restaurants, you can even find strawberries at the salad bar. So chow down on some fresh fruit! This list shows the reduction in mercury achieved by each substance I tested, using a proprietary Metals Capturing Capacity protocol combined with ICP-MS analytical instrumentation. 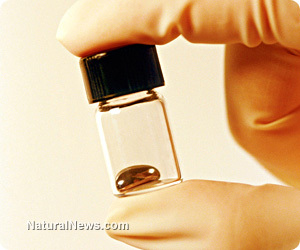 When you share this list, please credit Mike Adams at NaturalNews.com as the source, as this is original research conducted at great cost and without any government grants whatsoever. The percentage describes the percent of mercury "captured" by the substance being tested and thereby prevented from being absorbed. Scientific papers describing this research are forthcoming later this year. Click here for the full infographic chart. Technical details: Technically, each substance is tested to measure its Metals Capturing Capacity (MCC) which is described in terms of micrograms of mercury captured per gram of the substance. The tests conducted here used a fixed, known concentration of mercury in a fixed volume of gastric acid, then allowed the candidate substance to interact with the gastric acid for a period of approximately 8 hours in a digestion simulator. The food solids were then removed from the solution and the remaining liquid was measured for its mercury concentration, via ICP-MS in the Forensic Food Lab. As much as strawberries are fantastic at binding with mercury, they're really not very effective at binding with lead, cadmium or arsenic. In fact, fibers are not good binders with heavy metals like lead. It turns out if you want to bind with lead, you have to rely on a more complex ionic process rather than physical fibers. I've done extensive research on that as well, and I've identified key substances which can selectively bind with lead, cadmium, arsenic and even aluminum, a very difficult metal to capture and eliminate. To stay informed about my findings as I announce them, join my email newsletter at the end of this article, and I'll email you this breakthrough information as it gets published. I'm also the first researcher to have announced a dietary formula which can selectively bind with cesium-137 radioactive isotopes during digestion, without causing high exposure to aluminum or lead in the process. More announcements coming soon on that front. As you apply this valuable knowledge to protect yourself from dietary mercury, please understand that strawberries in no way protect you from inhaled mercury. In fact, mercury fillings (dental amalgams) are dangerous to your health not so much due to you eating the mercury but from inhaling the toxic mercury gas such fillings give off. 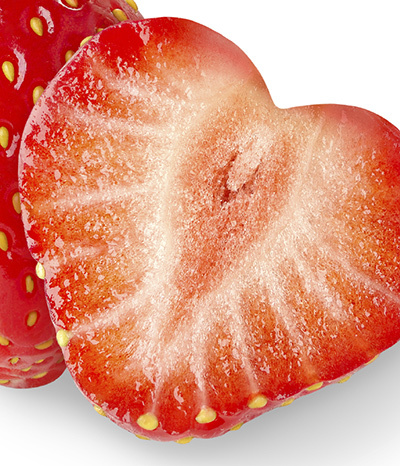 Eating strawberries will not block your dental fillings from poisoning you with mercury. Also, strawberries will not protect you from mercury in the atmosphere. If you live in North America, you are being poisoned by mercury blown over from China and emitted by China's ultra-dirty coal power plants. They release thousands of tons of mercury into the air each year, and a lot of that mercury finds it way to North America via air currents. Join my email newsletter, below, to be kept informed of yet more breakthrough announcements about heavy metals avoidance, protection and dietary defenses.